Speculation: when Brian Kelley, current president and CEO of Keurig coffee, was a little boy, nobody ever read him the fable of the goose that laid the golden eggs, which is why he made it all the way to adulthood without learning that excessive greed is often fatal to cash cows (if you don't mind mixing a metaphor). You're surely familiar with Keurig and its K-cup single-serving coffee (or tea or cocoa) pods; in the past few months, the company has also announced intentions to branch out into the single-serving soup and at-home soda fountain markets. 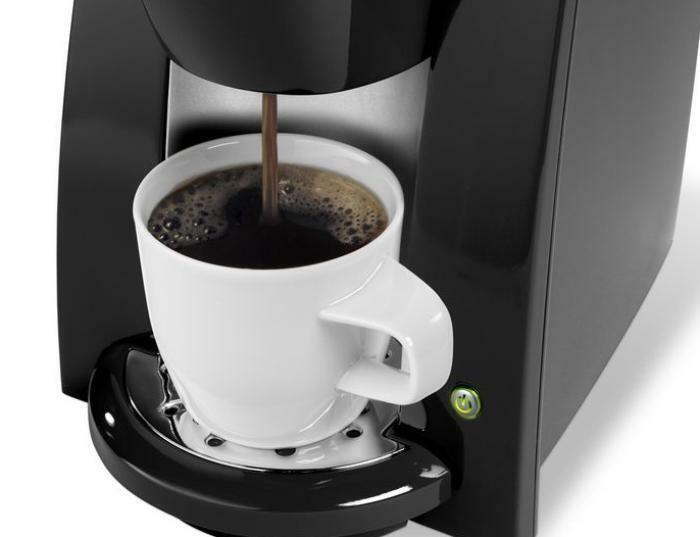 But Kelley and Keurig dislike the thought of customers using non-Keurig-branded coffee in their machines, which is why Keurig plans to install what TechDirt calls “the java-bean equivalent of DRM” (digital rights management), to ensure that only official Keurig-branded K-cups may be used in the next generation of Keurig coffee makers. Of course. That's why Keurig is doing this: to protect poor benighted customers from the complex inconsistency of unlicensed coffee beverages! Who could doubt such dedication to customer satisfaction? In other words: TechDirt thinks this merely a ploy by Keurig to get more money from its customers (assuming said customers wishing to brew their own all manage to forget about the countless non-Keurig-brand options already on the market). The Verge also believes Keurig's move is all about getting more money, if its headline “Keurig is locking down its coffee makers to keep out cheap refills” is any indication. Keurig's patent on K-cup technology expired in 2013, which is why off-brand or refillable K-cup-style coffee pods have exploded all over the market since then. That's also why Keurig's fourth-quarter results for fiscal year 2013 suggested that up to 12 percent of all coffee or tea pods brewed in Keurig machines came from “unlicensed third-party” sources. A cynic might suggest this proves that “brand loyalty” among Keurig drinkers isn't as high as CEO Kelley would like to believe. Of course, right now all Keurig machines in existence work with any brand of properly sized pod, unlike the planned Keurig version 2.0 with its RFID-chip limitations. Is the brand loyalty of existing Keurig drinkers high enough that they'll pay for an “upgraded” machine that actually limits their options? CEO Kelley seems to think so; whether this means his advisers are wise pragmatists or brown-nosing yes-men is still up for debate.